Do you ever find yourself staring at your blog’s analytics in disappointment? Well, if you do – you’re not alone. We’ve all been there at some point. To help solve this problem, we recently published a huge guide over at BloggingWizard that shows you how to get more eyeballs on your blog. Since the post went live, I’ve received a bunch of questions about how to use some of the platforms David discussed in the post. So, today, I’m going to elaborate on some of the platforms I’ve had success with, and how to use them to get more visibility for your blog. And also share a bit more about our experiences with the platforms themselves. 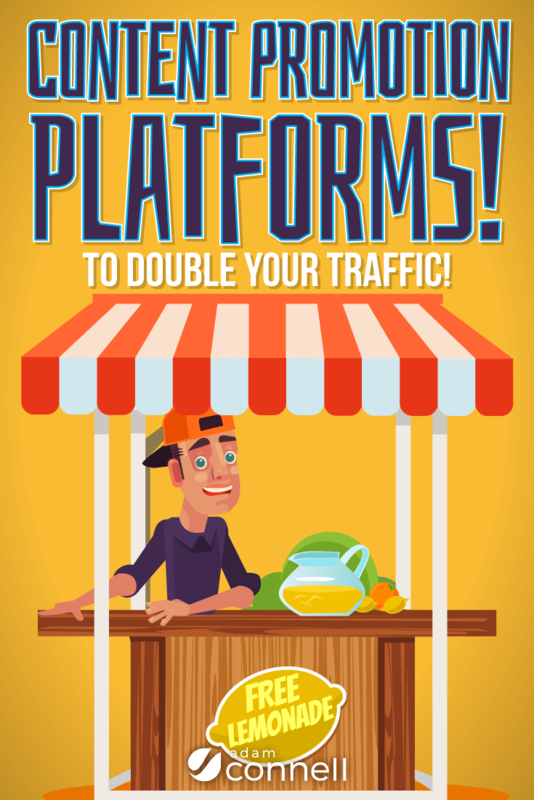 Note: This post originally included only free platforms but I’ve expanded it slightly to include another tool that I’ve been having some success with. Flipboard is a news aggregator with social networking functionality. Anyone can create a magazine and share content to it that they find on the web. If enough people share a piece of content, it can get promoted to a main topic – some of which have a huge amount of followers. We’ve had some good results over the years and it seems like if a handful of people share your article, it can result in an extra 100-400 visitors. Install the “Flip It” Chrome Extension. Start sharing your content, and other people’s. Zest is a “content stream” focused on marketing related articles. It’s my favorite source of finding new content to read at the moment because their team does a great job at moderating suggestions. It works by replacing the start tab in Google Chrome. And allows users to suggest new content. Results vary depending on the post submitted, but we’ve had some articles get 200+ clicks. Start suggesting content (providing it’s marketing related). Just be sure to share content from other sites too. Quuu Promote is one of the quickest ways to put your content right in front of social media influencers. This tool is the other half of Quuu – a moderated content discovery platform that makes it easy to find new content to share. Once the content you wish to share is approved, it will be suggested to Quuu users for 30 days. This is a paid tool but I’ve had a lot of success with it over the years. If you’ve got some budget for promoting your content, this is will worth checking out. Sign up for an account at QuuuPromote.co. Submit the URL to your piece of content. Customise sharing options & decide on a category. Choose a plan (starting from $40/month). Submit and wait for your content to be approved. Triberr is a social platform built around tribes and the principle of reciprocity. The platform is full of tribes for various topics. You can apply to join tribes as a member where you’ll need to wait for the “Tribe Chief” to approve you. If not approved, you’ll be a follower of the tribe. If you follow a tribe, you’ll see content from that tribe in your Triberr feed. If you’re promoted to a member, all other members of the tribe will see your content and get the opportunity to share it. When you share other people’s content, they’ll be more likely to see your content higher up in their feed. As a result, you’ll get more shares on your own content. Results are difficult to track because sharing is done via social networks, but it’s been a big help over the years. It’s not as active as it used to be, but it’s still worth checking out. Submit your blog’s RSS feed. Apply to join relevant tribes. Consider creating your own tribes, then invite active members from other tribes. Slideshare is a digital utopia of Powerpoint-style presentations, with social networking functionality baked in. And it has a huge built-in audience. The few presentations I’ve submitted have done pretty well. And while they haven’t generated much traffic, they’ve helped get my brand a fair bit of extra publicity. One of my earlier presentations has received over 10K views, and the more recent one has had almost 6K views. Repurpose it into a presentation using Google Slides and export it. There are a plenty of other platforms out there, but it’s best to focus on a few initially and see what kind of results you get. Then incorporate those that do work well for you, into your regular editorial process. As a result, you’ll get more visibility and traffic for your blog. Finally, be sure to check out our blog promotion guide over at BloggingWizard.com if you haven’t already – it’s packed with ideas to help you grow your blog faster.